Thinking about improving the look of your garden sheds? 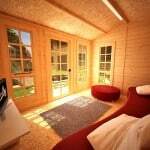 Choose from among these 23 creative ideas on how to give your sheds a simple make-over or a major renovation. Whether it’s a humble storage room or a place for the family to hang out in, a shed can offer a multitude of purposes which make a garden feel homely and lived in. 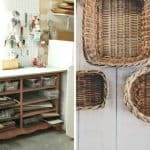 If you are looking to make some serious changes to your space and want to fall in love with your outhouse again, take a look at our 23 smart ideas for a shed makeover. Question is, does your shed need a major renovation or a simple makeover? Tip-off. Some garden lovers create an intimately personalized space out of their sheds. Whilst some artistic individuals go above and beyond when turning their ordinary shed into an awe-inspiring masterpiece. Here we’ve compiled categories of refurbished sheds to see how other owners have transformed them! Colour – choose a colour or pattern that complements the colour palette of the garden shed interior. Fabric – opt translucent curtains in light colours to create a light and airy feel. Think flowers and lace. Or hearts as a feature like this one. This simple and effective idea can be created by hanging a selection of heart shaped items int the interior of your shed and you’ve got yourself a chic look. Be bold and opt for a vinrant wallpaper to jazz up any space. Used as a restroom, this wallpaper has created a total shed makeover. The spiral-and-circle wallpaper works interestingly cool inside alongside the functional utility. Dress up the floors with a choice vinyl tile. More than an added appeal, this will help protect your floors from damages like its worst enemy – water. Use a polyethene vapour barrier to provide a blockade to moisture and prevent plant growth. Good ventilation will help any damp air disperse and keep the timbers dry. What is good ventilation? Most often for sheds, the underside can be left completely open to the atmosphere so damp air cannot accumulate. Stop moisture from getting in from above by using large eaves and gutters making water drain down onto the ground. 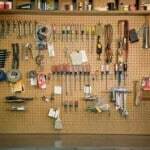 If you want to keep the original purpose of your shed as a storage place for garden tools, but want a clutter free and organised space.try using these pegboards to organize your items. Plant pots are carefully perched on top of a sideboard whilst adding an overall decorative look to the whole interior. See how charming a storehouse can be by sheer organising? Take a look how this organised garden shed looks stylish but functional. 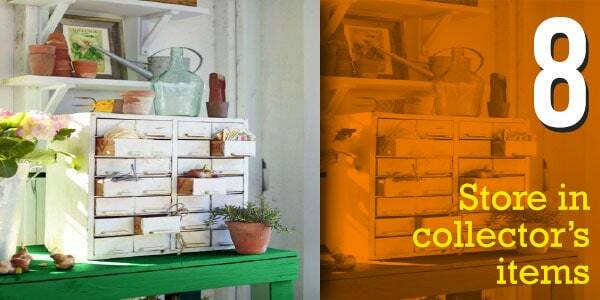 Stack up your items in custom-made shelving like this one using wooden crates. With their strength and durability, crates make great storage for heavy materials. Smaller items like funnels and scissors can be stored using hooks fastened inside the crate. 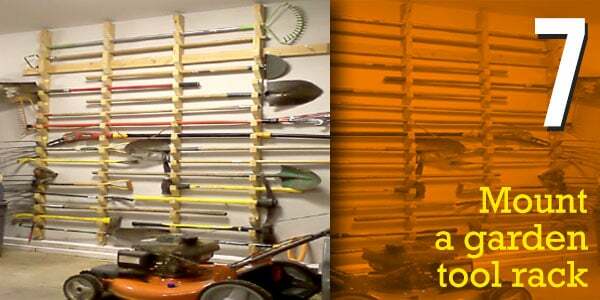 Keep those large metallic shovels, pitchforks, rakes and hoes off the floor by placing them onto horizontal racks attached to a wall. This frees up loads of space for you to store other garden equipment. Here’s a step-by-step guide on making garden tool racks. This quirky vintage cabinet is used to store equally-treasured finds. Do you have any valuables stashed at home? 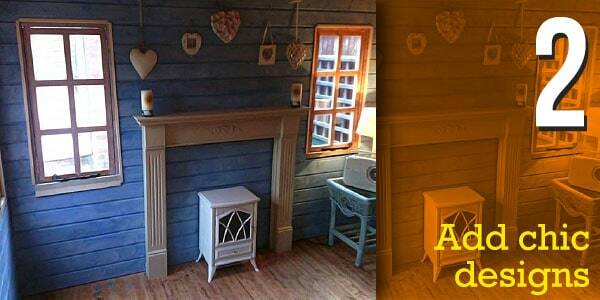 Why not use them in your shed makeover to create a gallery of loved pieces. Now sheds are definitely not for pots, tools, and outdoor equipment alone. 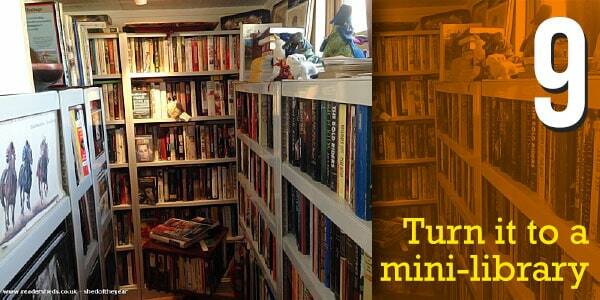 Book-lovers will find this whimsical space a comforting retreat to enjoy their favourite books. One or two shelves will do inside a garden shed, but if you’ve got an enormous volume of reads, nothing can stop you from squeezing in more space for additional shelving. Place a comfy chair in a cosy corner where you can read and enjoy a warming cup of tea. Sometimes we need a quiet place to concentrate on work and get away from distractions around the home. 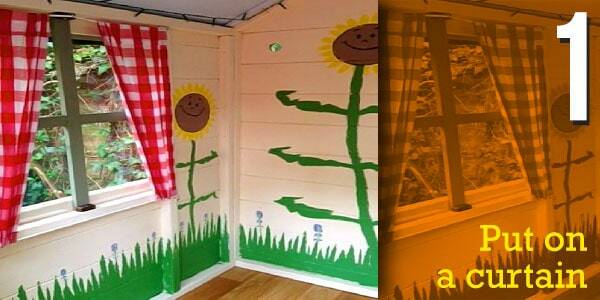 Get away from the noise of the kids and the blaring television with this shed makeover. Garden’s can give you just the right peace and quiet you need. Set up a desk for your computer and add in a comfortable chair to go with it. You’ve now made a private office right in your backyard. How about somewhere for the kids to have fun and play in while keeping the house mess free? This shed pops with colour, decorated in bright shades and installed with all the fun and art stuff that will tickle any child’s spirit. Bring in a pool billiard, their favourite musical instruments and some speakers. What teen wouldn’t love this space? Just don’t forget to soundproof your wall. This might seem like an extreme but once you’re done, it’s all leisure time for you. All-too-busy mums need some time for themselves too. So ladies, shape up your very own version of man cave and enjoy a stress-relieving, women-empowering, dream-like retreat. If you’re looking for a spring of she shed ideas, Cassandra Lewis has a lot to share with you. Enjoy! A bar shed complete with stash of bottles suggest everything pub-like. Transform your ordinary shed into a tavern with this shed makeover idea. A laid-back lounge for male friends and neighbors to socialize in. 15. How about an observatory? Shed for an observatory? That is quite an astronomical vision! 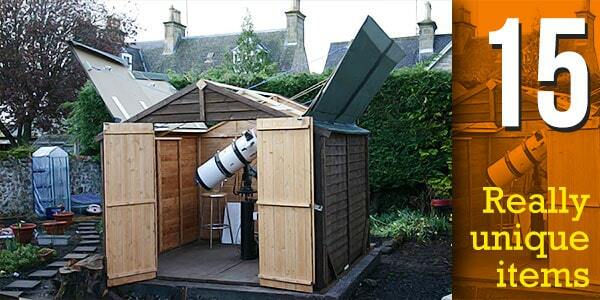 This shed’s owner found just the right spot for stargazing with a cool telescope, transforming the function of this once unexciting shed. Why not take up a cool new hobby and create a unique feature in your garden at the same time. Here you can find out how to build one. Make a shift from boring brown to electric blue (or whatever rich colour takes your fancy). This shed makeover makes a statement against the white walls and pebbles. Have a look here for a simple guide on how to paint your wood shed. Warm and cool. These bold colours strike a really good balance among the greenery and florals. Nice job by Ms. Heidi. 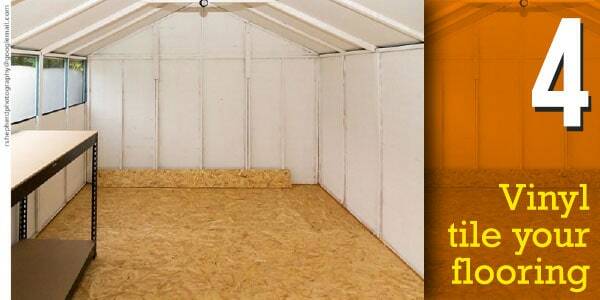 Try your own mix of contrasting colours and see how it transforms a rather drab shed. 18. How about a stripe? If you are feeling bold and creative, why not go for a playful stripe? Makeover the doors of your shed with this stripey pattern. Look how it did a great job at breaking the monotony of a purple block of colour. A centerpiece within a centerpiece. This mural by Maria Yadegar would make a fun addition to any garden. 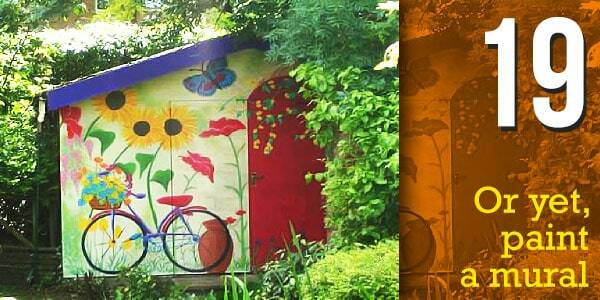 Get creative with your paintbrush and make your garden shed into a piece of art. At this point, we’ve covered a lot of painting jobs. If you’re incredibly adept at it, good for you. You can always start whirling up your paint brushes. If not, best to call on the professionals. Live a garden life. 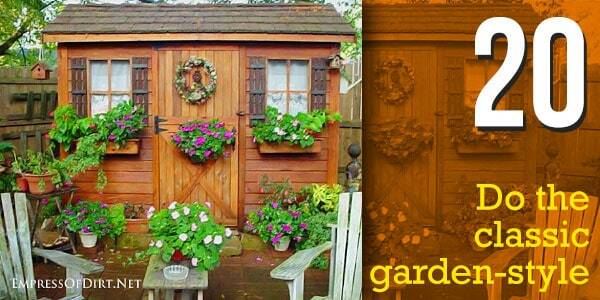 Simply varnish your existing shed with dark brown stain and decorate with lush greens and flowering plants. Then add a matching outdoor dining set and relax. Take in all the garden view. Classic look, yes. Appealing, definitely. There’s a perpetual charm in leaving a rustic thing as it is. One designer pot at the front of the exterior and a green field for the backdrop. Simple. We love the feel of it all together. It’s not a bird hide, but can be. It’s actually a garden shed all covered in green leaves. The owner seems to be having a lot of fun with it. I bet you will too. Building a bird hide creates a nature-inspiring activity for the whole family. You can create a wildlife garden right outside your home with these easy, fun tips. Who say’s it’s a long walk to the shore? Well, a beach-life can be as near to you as your garden. Paint it a shade of blue and white for a seaside feel. Then spread pebbles, pebbles and more pebbles in your lot leading to the beach house, I meant, your garden shed-turned-to-beach house. If you need more hints on how to create a seaside illusion, look here. Your shed makeover doesn’t have to be grand or even perfect. A little tweak here and a splash of pieces there will make shed nothing short of special. All you need a handful of resources like these to get you rolling up your sleeves. 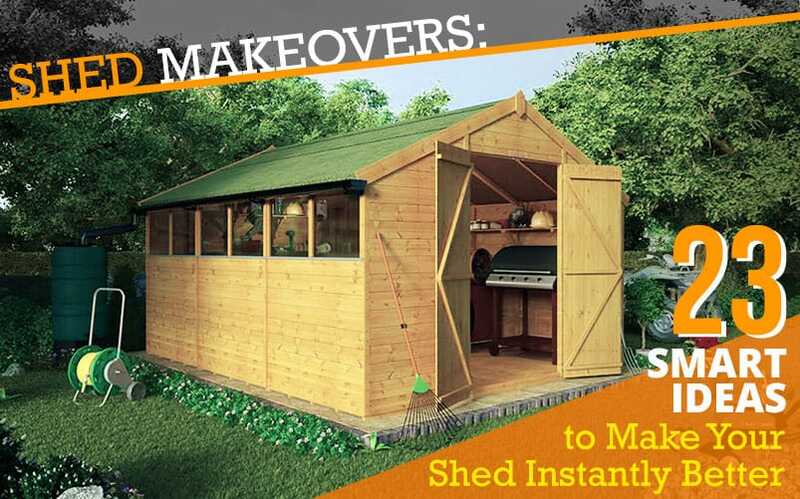 Do you have any other ideas that would make a great shed makeover? Let us know in the comments below!